Sony mobile recently showcased there latest smartphone, the Xperia M2 and its Dual SIM variant. 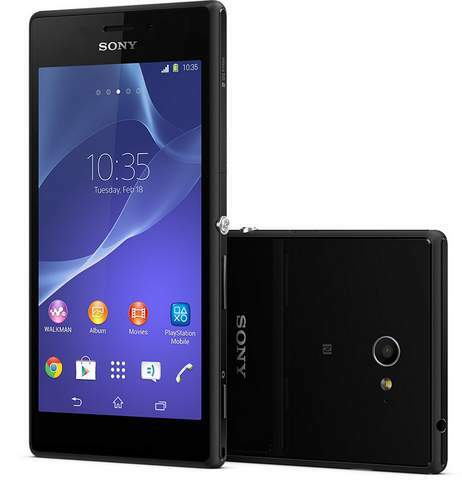 The Sony Xperia M-2 / dual features a 4.8 inch qHD resolution display and quad core CPU. The handset runs on Android 4.3 Jelly bean OS and has Adreno 305 GPU for better gaming rendering. It would compete with Motorola Moto G and Xolo 1100 in India. The handset comes in two variant based on SIM card slot and Network radio. The new Xperia M2 comes in 3G and LTE variant as well. The handset packs with a 8-megapixel rear shooter and a front camera. It weighs 148 grams and is 8.64mm thick. It houses 2300 mAh battery, which should be enough in Single SIM variant. It has 1 gigs of RAM, 8 gigs of ROM and further expandability by micro SD card. The Sony Xperia M2 offers 3G, 4G LTE (optional), WiFi, Bluetooth, GPS, WiFi and NFC connectivity. The price of the phone is not announced yet, but would compete with mid-range phone. The handset is capable of recording Full HD 1080p videos. The company has also launched there latest flagship android smartphone the Xperia Z2, which has 3GB of RAM and 4K video support.